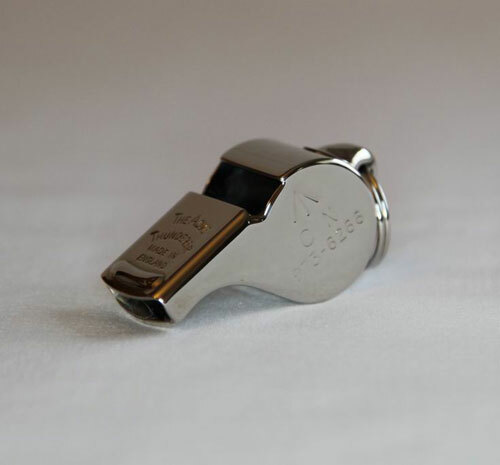 Chosen for its shrill sound and audibility on the gun line, this is the military version of the world famous "ACME Thunderer" whistle that was issued to every World War 2 Royal Air Force aircrew and also saw service on the ill-fated RMS Titanic. Rugged construction and a chrome plated finish means this whistle will serve you for many years. British Military markings.